Bitter sophora root, as a medicinal plant, has the functions of clearing heat, diuresis, insecticide, dispelling dampness and so on. It also has the functions of anti-virus, anti-tumor and anti-allergy. In the test tube, high concentration (1:100) inhibited Mycobacterium tuberculosis. Decoction (8%) had different inhibitory effects on some common skin fungi in vitro. Oxymatrine has shown strong antiviral activity against HBV in vitro and in animal models. It also has anti-HBV effect in human body. Many reports have been reported for the treatment of chronic viral hepatitis. Matrine injection into rabbits: found paralysis of the central nervous system, congenital spasm, and eventually died of respiratory arrest. Injection into frogs: initial excitement, then paralysis, slow and irregular breathing, eventually spasm, so that breathing stopped and died. The spasm was caused by spinal reflex. Bitter sophora root can balance oil, astringe pore, remove impurities of skin, promote the repair of learning to drive nerve cells, make skin more slippery and have the function of beauty and skin care. Matrine can inhibit auricle swelling induced by croton oil, abdominal exudation induced by acetic acid and carrageenan pad swelling induced by carrageenan in rats. Bitter sophora root has a stabilizing effect. It has a slight analgesic effect when used alone. 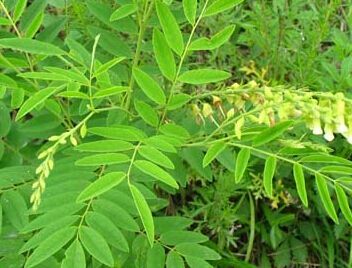 The combination of threshold dose morphine and Sophora flavescens can increase the analgesic effect. Matrine can reduce the release of allergic mediators and has the anti-allergic effect. Matrine pesticides used in agriculture actually refer to all the substances extracted from Sophora flavescens, called the extract of bitter sophora root or the total alkaloids of Sophora flavescens. It is widely used in agriculture and has a good control effect. It is a kind of low toxicity, low residue, and environmental protection pesticide. It mainly controls all kinds of pine caterpillar, tea caterpillar, cabbage caterpillar, and other pests. It has many functions, such as insecticidal activity, bactericidal activity, regulating plant growth and so on.